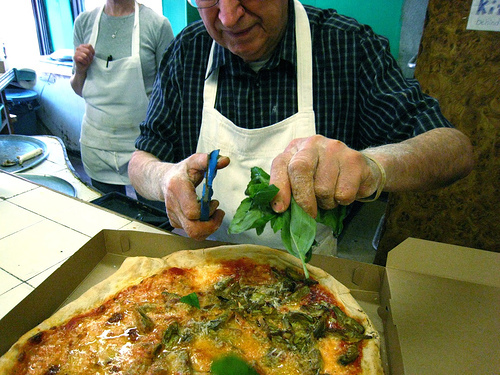 In the past year or so the East Village has become a Mecca for everyone’s favorite dish: pizza. If you’re a New Yorker, you have a favorite shop for a late night slice or a dinner party of pies, and you are generally passionate about where the best of the best is. 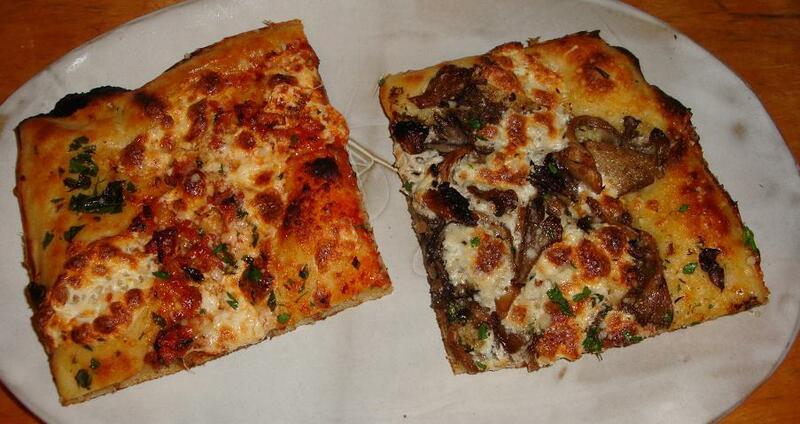 If you’re on the run and want to grab a quality slice, head over to Artichoke on 14th Street. 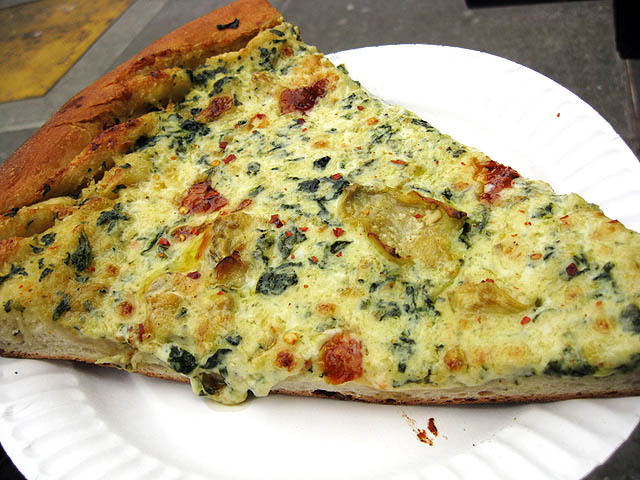 The Artichoke slice is to die for: creamy and cheesy, dense and delicious. And their Margarita slice has even been compared to Di Fara’s, so get over there and get to the end of the long line and decide for yourself! On a date night, when you’re craving a flavorful thin crust, head over to Motorino. The original location is in Brooklyn, but I love the intimate feel of the East 12th Street restaurant. The Spicy Octopus and Potato antipasti is divine. 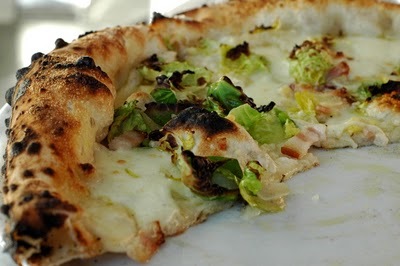 The Brussels Sprout and Pancetta pizza is original and a favorite. When they have their Special white pie with prosciutto available, make sure to order that as well! 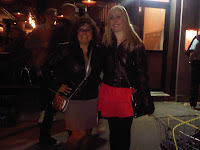 Recently, we tried Veloce on 1St Avenue for Caitlin's going away party. Ten girls shared a few different pizzas, sipped delicious wine, and argued which pan pizza was the best. Unlink the thin crust fad, these pizzas are a thicker Sicilian-style and cut into square slices. I think the mushroom was my favorite, but I was satisfied with every variety I tried. Pulino's, from the owner of Pastis, Balthazar, and Schiller’s, opened this past year with raves and a long wait for reservations. 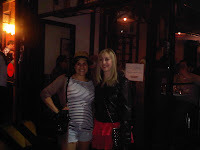 With another group of girlfriends, we sampled a few of the antipasti’s and most of the pizzas. My personal favorite is the Quattro Formaggi. How can you go wrong with four rich cheeses? I also plan to stop by for their brunch sometime soon. EVOO/Balsamic dressing! 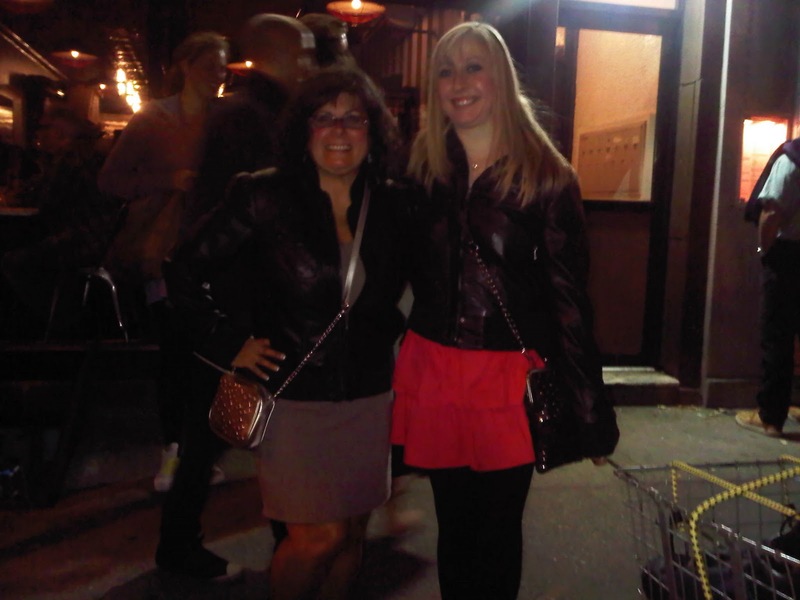 And, hey thanks for including me in your pictures, teamed up w/Sam & our matching faux-leather jackets! What was the place on the corner called that Reniecakes would bring a slice home at least a couple times a week? Nino's is where she would grab a late night slice, on the corner of St. Marks and A. Close second for a traditional pie: the always crowded but amazing John's Pizzeria on Bleecker near 7th Ave. Nothing is better than a good pizza! I can't imagine anywhere in the US having better pizza than New York, but we have decent in little italy in San Francisco. I love pesto pizza. Ah! You went to Bar Veloce! That's hands down my favorite place to go in the city. Did you have the awesome bartender who looks like James Bond? 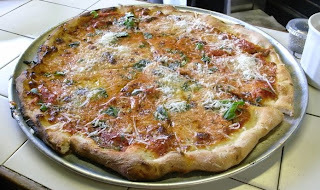 Veloce is also next to Viva Herbal Pizzeria, which is a tree-hugger's pizza haven. They have great desserts too. Dammit. 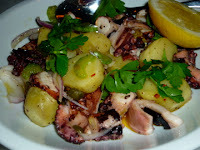 Now I want some.